WarLight’s ladders are a great way to earn points! Up until now, the formulas that the ladders use to give out points have not been revealed. This blog post reveals it all. The number of points they award is based on this formula: (31 – rank) ^ 3 * 0.6 + 1000. This gives about 17k to the #1 rank and 1k to the #30 rank. The 2v2 ladder is especially ripe for giving out points! Since it awards points to all teams rank 30 or better, and the there are currently only has 26 ranked teams, you can earn points even if your 2v2 skills aren’t quite legendary yet. If you’re a member, now is a great time to grab a partner and improve your 2v2 skills on the ladder. WarLight app now on iOS, and 2.0 is complete! The WarLight app for iPhone, iPad and iPod touch is now live on the Apple app store! 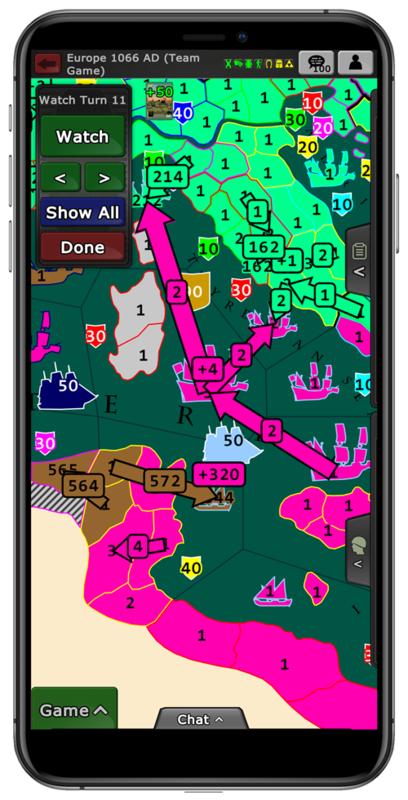 This also means that WarLight 2.0 is now fully deployed and playable on all platforms for free — the website, iOS, Android, and Kindle Fire! Author FizzerPosted on August 16, 2013 December 19, 2014 3 Comments on WarLight app now on iOS, and 2.0 is complete! WarLight has just been updated to version 2.00.1! This is a small update to both the website and Android client that fixes a few issues. The website changes are live now, and the Android update will begin rolling out in the next few hours. – Points given out from winning tournaments increased by 66%. – Fixed a bug that prevented games with more than 24 players and open seats from starting. – The “Win on X different maps” achievements now correctly only count wins, instead of just counting any completed game. – Kindle Fires are now properly detected by the website. – Ads can now trigger when joining a game at the lobby. – Mochi ads were removed in favor of Google’s. – Full-screen ads are now only shown when committing orders. – When ad-blocker reduces points, the points page now shows this in a tooltip. – Pressing the escape key during the tutorial no longer causes errors. – Android/iOS: When clicking chat in a game with private messaging enabled, each player’s color is now shown next to their name. – Android: Various fixes for specific devices. This update also contains a change to the way that AIs take their turns in multi-player games. This is mostly a behind-the-scenes change (AIs still make the same moves), but it will have a couple minor things that will be noticeable. Now, the server will let you commit without the AIs playing their turn, and fire off a background task to take the AI turns in the background. This has a number of advantages. For one, it means the last committing player no longer has to wait as long, which means the game will respond faster. Secondly, it fixes an issue that comes up sometimes in really big games with lots of AIs and on big maps. In these situations, it can take quite a while for AIs to calculate all of their moves. Sometimes, it takes so long that the server times out and rejects the request. This is a big problem since it basically means the game is stuck — the last player can’t commit or be booted. Lastly, it also allows me to move the AI processing off of the overloaded web servers and onto cheaper servers. This helps reduce the cost of hosting WarLight. Further, since the CPU is cheaper here, this removes one of the barriers to writing an improved AI for WarLight that makes smarter moves. I don’t know yet when this will happen, but this update is a step towards it. 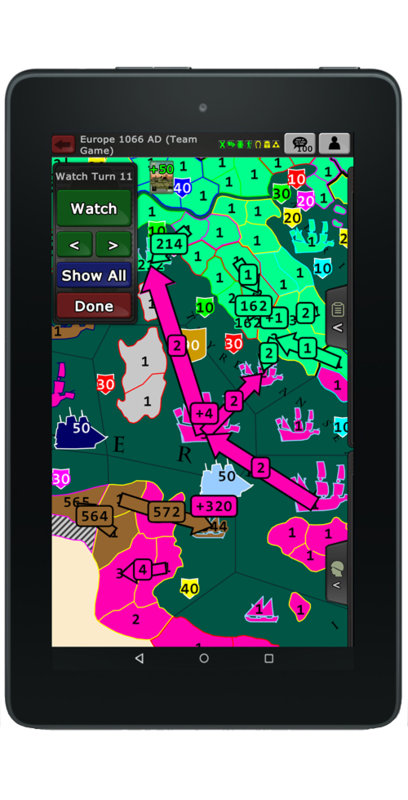 WarLight app for Kindle Fire now available for FREE! The WarLight Kindle Fire app is now available! Best of all, it’s FREE! Install it today from Amazon. Be sure to rate the app based on how much you like WarLight! The iOS app will launch as soon as Apple’s developer website begins functioning again and Apple approves the app. Author FizzerPosted on August 1, 2013 December 19, 2014 7 Comments on WarLight app for Kindle Fire now available for FREE!